The final novel in the Temeraire series is a worthy and high-quality close to the adventures of Laurence and his celestial dragon, even though it did not completely give me everything I wanted. The Temeraire series took hold of me years ago, when my mother-in-law gave me the first three books as a present. The setting is so uniquely different from other dragon stories, it quickly became one of my favorite dragon adventures to follow. The characters, both human and dragon, are divers and well-rounded. Temeraire is a lovely creature and oft the focus of the story. Which I like! I always see him as a combination of a golden retriever and a hawk. Caring and loving, but sharp. Sometimes, he is delightfully naive, but those who anger him be warned: Temeraire can cause havoc with a “simple” puff of air, also known as the divine wind. The story describes an alternative history in the time of Napoleon, where dragons form the air force in a time when there officially was none. Narrative and language use is spot on and it shows that Naomi Novik puts in plenty of research before writing her stories. Her version of the times of Napoleon feels lively and authentic. About her prose I can say nothing else than that she is an inspiration in the skill of the written word. Still, Naomi’s dragons are not just traversing clear blue skies. The previous book in the series, Blood of Tyrants, had trouble keeping me engaged. I did not find the plot very interesting, even though it took place in a country that is my personal favorite, Japan. I feared that League of Dragons would have trouble doing the same…and it partly did. Despite the details and high quality of the story, my biggest hurdle with this book is that I missed out on much of the action. It’s like the war in this last book is often described at the level of logistics, yet rarely at the battlefield where all the action was. There are certainly some good parts…but, one of the biggest confrontations I eagerly awaited never even happened. *grmbl* Still, perhaps that’s what it is. Wars are not “merely” fought by soldiers on the ground (or in the air). They are won, and lost, by the men that think strategically and are able to outsmart their rivals. Yet, somehow, I had expected more from a book with dragons, simply because I rather read about the action, than the politics. Apart from that, it also felt that many of the sub-character story lines did not get much love and resolve in this final book. We are left to wonder where many of the character are after the story’s conclusion. But again that might be a feel of the times with long communications delays, even if there are dragon couriers. Anyone who enjoys a richly filled world with dragons will do well to pick up the Temeraire series. In nine books, the adventures of Laurence and Temeraire visit the corners of the world. It has plenty of story threads to keep things interesting and Novik stays true to the feel of the series. 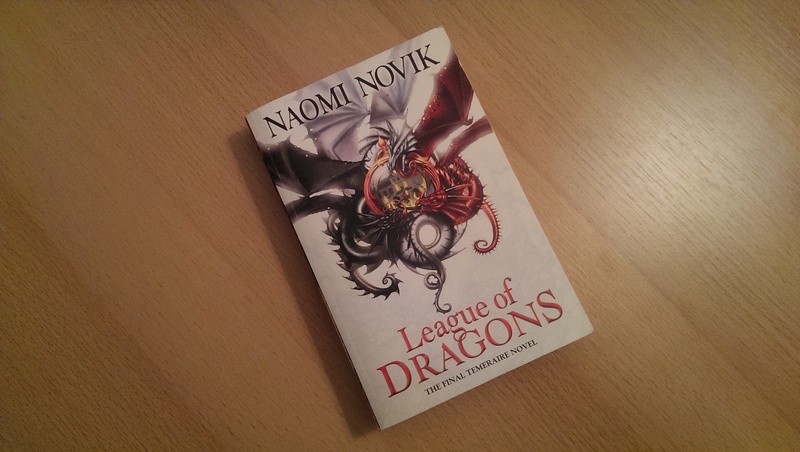 I would like to have seen a bit stronger ending, but I must admit the conclusion fitted well inside the world that Naomi Novik has created over the years.